Home Daily News Blog: The Future of Sweet? Blog: The Future of Sweet? As technology continues to advance, we are learning more about the dangers and benefits of foods. Sugar is a known offender to the body. With no nutritional value, sugar has been linked to obesity, inflammation, and type 2 diabetes. Science continues to develop artificial sweeteners in hopes to lower sugar intake and satisfy the insatiable “sweet tooth.” Unfortunately, the multi-billion-dollar industry of chemically produced sweeteners such as saccharin (“Sweet-n-Low”), aspartame (“Equal”), and sucralose (“Splenda”) are proving to be harmful and dangerous. Along came Stevia, approved in the U.S. in 2008. Extracted from the stevia plant in a similar process to sugar, then processed. This has been the sweetener of choice for dieters since there are currently no studies which have proven stevia to be dangerous to humans. In fact, it offers some health benefits, but many people don’t like the taste. This is where we introduce monk fruit, also known as luo han guo. Grown in the mountains of Southeast Asia, it is a small round fruit that Buddhist monks have harvested and used as a sweetener for 800 years. The fruit extract is about 150-200 times sweeter than sugar. In 2010 monk fruit sweeteners were permitted by the FDA as generally recognized as safe (GRAS), a category that requires expert consensus that a food ingredient is safe for its intended use. In addition to being calorie-free, monk fruit seedlings and fruit are GMO-free, and monk fruit juice and extract are void of artificial chemicals. It is so prized the Chinese government has banned the export of its genetic material. Why? Because this little melon isn’t just healthy, it’s one of the sweetest plants on earth despite zero sugar. I believe monk fruit is poised to become the most valuable sweetener on the planet. Even more incredible, monk fruit has zero effect on blood sugar levels or insulin, unlike some artificial sweeteners. The sweetening power of monk fruit is derived from a group of compounds called mogropides. Research shows that mogrosides aren’t just sweet, they are packed with health benefits. Studies show mogrosides have an anti-inflammatory effect, anticancer properties, and are helpful in preventing diabetic complications. Mogropides act as powerful antioxidants, which is remarkable considering sugar and other artificial sweeteners like aspartame are highly oxidizing. Oxidative damage is widely regarded as the main source of aging. The monks who originally cultivated monk fruit referred to it as “longevity fruit” and this antioxidant activity may be the basis for this belief. You’ll continue to see monk fruit sweetened products hitting the shelf in 2019. The Keto Diet craze allows monk fruit and bans sugar and artificial sweeteners. Other companies currently using monk fruit to sweeten their products include Yoplait, Arctic Zero, Bolthouse Farms, Chobani, Dole, Enlightened Ice Cream, Hubert’s Lemonade, So Delicious Ice Cream, South Beach, Vitalicious Products, and Zevia Soda. Monk fruit is the sweetener to look for in 2019. Boasting multiple health benefits, without calories or effect on blood sugar or insulin, monk fruit may be the dietary missing link that we’ve all been searching for. 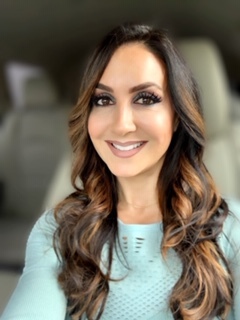 Jody Trierweiler is the fitness expert for WDIV-4 “Live in the D,” host and producer of “Jody’s FitLife” on Comcast Xfinity, a corporate health speaker, a podcast host for New Radio Media, and a fitness instructor and trainer.